DJ Richard started playing on the bassline scene in 1999. He currently plays regular slots in Sheffield, Birmingham, Derby, Leeds and Bradford. In 2004 he released &apos;Good Love&apos; on Jump records and the massive anthem Move on/Krush on Nocturnal Records. A remix of ATFC&apos;s Sleeptalk was released on Boogaloo Records in late 2004. His long awaited version of Music Takes me Higher is now out on Ecko records. Whether you call it Speed Garage, Funky House or Bass line House its the sound that is exploding out of the north and midlands in 2004. Featuring the big bass-lines of speed garage and uk garage and the uplifting vocals and breakdowns of classic house. Its has gained a huge following with its own DJ , Clubs , Record Labels, Producers and Pirate Stations and Web Forum. The scene gained national media attention in the April 2004 issue of IDS magazine which dedicated an article to the "Baseline House" scene which featured DJ Richard. 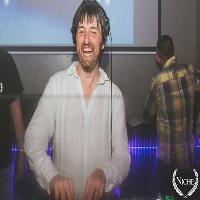 Do you promote/manage DJ Richard johnson? Login to our free Promotion Centre to update these details.